Socialism | COURAGE FOR AMERICA! Washington, Israel, the Vatican and the world– does anybody care about Cuba? During the Yom Kippur War (aka, the 1973 Arab-Israeli War) Fidel Castro’s government sent 4,000 troops to prevent Israeli forces from entering Syrian territory— while Benjamin Netanyahu, the current Prime Minister of Israel, was leading a commando team deep in the Syrian territory. When the terrorists took control of the AirFrance plane, they announced that they were under the leadership of none other than the “Che Guevara Group and Gaza Unit of the Popular Front of the Liberation of Palestine.” As my readers know by now, Che Guevara was one of Fidel Castro’s closest henchmen, responsible for the execution of thousands of innocent Cubans. Che Guevara’s long trail of blood has earned him the reputation as one of the most vicious and ruthless Communists in history. Are the billions of dollars that American taxpayers send to Israel each year not enough affirmation for Prime Minister Netanyahu and President Shimon Peres? Why is the opinion of Fidel Castro so important, to even warrant a personal letter from the President of Israel to a murderous Communist thug like Castro? UPDATE: Israel’s Defense Ministry refuses to release full list of countries that purchase weapons from Israel. Let’s not forget that John Paul II, after vigorously negotiating the freedom of the Polish people from communism, proceeded to pat Fidel Castro on the back, praising his socialized health care and education. John Paul II’s double standards are legendary—and his betrayal of the Cuban people has left deep scars in the hearts and minds of many who looked up to him, for the work he had done in Poland. … à la carte with Marielena, Benjamin Netanyahu., Che Guevara, CUBA: 55 years of Communist Terror Erased from History, Francis, Israel, John Paul II, John XXIII, Marielena Montesino de Stuart, Marielena Speaks, Marielena Stuart, Shimon Peres, The Vatican. Is there a smell of socialism in your Swiss cheese? Citizens around the world are being intensely lured by socialist ideals. They are being told by community operatives that they must be part of this worldwide “current” – which calls for equality, solidarity and justice. Switzerland is the latest to flirt with this socialist trend. 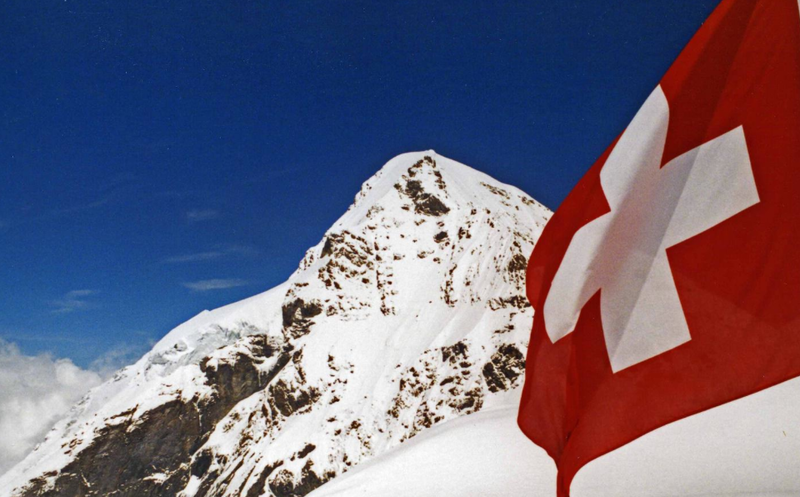 In the land of money and pragmatism, it is hard to fathom that the Swiss would participate in financial equality—even less, socialist slavery. The Swiss are known for their love of precision. One can only imagine how they would react to the disorderly nature of socialism. After all, they have the experience of the administrative chaos brought about by the many covert and illicit transactions that took place alongside “normal” business activity, by German National Socialists (Nazis) during World War II. Said transactions not only benefitted their regime– but also Nazi officials, on a personal level. But socialists are patient and persistent. There isn’t a crevice that they won’t stick their heads in. So… does this mean that the Swiss are now going to open the frontiers of their closely guarded confederation? Topics: Cardinal Gianfranco Ravasi, Gloria Estefan, Aerosol Ali, TEDx Via della Conciliazione, The Vatican, Pontifical Council for Culture.